Local designer Sabrina Goh's brand new flagship sits pretty at Capitol Piazza. 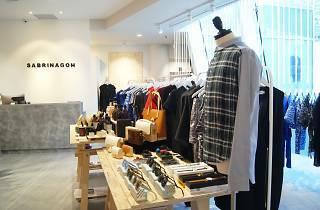 Combining fashion with lifestyle, her minimalistic store carries apparel by names like ELOHIM by Sabrina Goh, A.K.A Wayward and M-WANTED, as well as organic beauty brands FrankSkincare and Rough Beauty, and accessories from Karen Walker and House of Holland. On the homeware side, Spatula and Whisk offer up cookies inspired by local flavours, and A.muse Projects hawk tea based on cocktail flavours.